We’ve heard stories about how prominent actors and actresses crawled their way to the top. Superstar Nora Aunor used to sell bottled water and peanuts at a train station. Former actor and now Manila Vice Mayor Isko Moreno used to roam around the streets to collect bote-dyaryo and scavenge leftovers to survive. Comedy Concert Queen and Tanging Ina actress Ai-Ai delas Alas used to be a saleslady at a department store. Below are some more inspiring journeys of celebrities who overcame their struggles early on in life and went from rags to riches. Allan Pineda Lindo was born in Sapang Bato, Pampanga. His African-American father, an airman based at Clark Airbase, left his mother after his birth. Growing up, he helped his mother Cristine Pineda raise his six younger siblings through efforts on farming sweet potatoes, corn, sugar cane, and rice. Through a foundation that supports abandoned and orphaned American children, he was sponsored and adopted by a lawyer named Joe Ben Hudgens. He spent his formative years in Los Angeles where he met William Adams (will.i.am) and formed The Black Eyed Peas. Despite his international success, he gives back to the community by building classrooms for children. Coco Martin, Rodel Nacianceno in real life, has a degree in hotel and restaurant management from the National College of Business and Arts. The “Ang Probinsyano” star was a waiter and a caregiver in Alberta, Canada, before he got into acting. After working overseas to financial support for his family, he flew back to the Philippines to fulfill his calling. He started getting recognition for his notable acting prowess in indie films, even gaining a Gawad Urian, among other awards. We all know The People’s Champ as a boxer, senator, playing coach, and a pastor—but his past odd jobs have been hardly heard of. 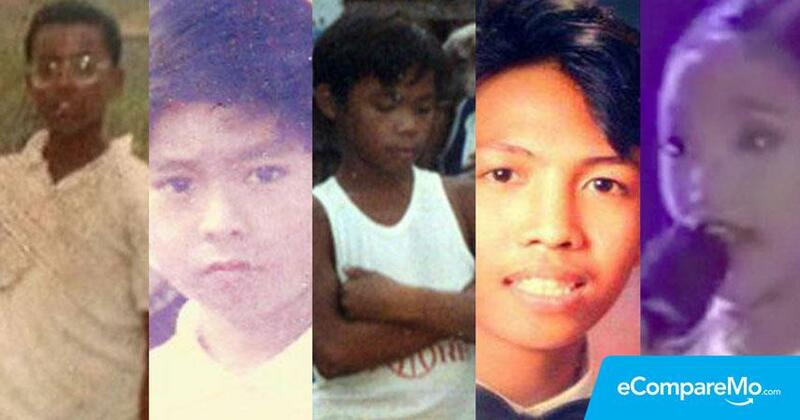 Emmanuel Dapidran Pacquiao was born on December 17, 1978, in Kibawe, Bukidnon. He was an out-of-school boy who sold bread and home-made doughnuts in General Santos City. He would visit neighboring villages to compete in boxing matches for the reward of P150. Although he started in the ring at 16 at 106 lbs, his agility and boxing prowess were unheard of. He was one day invited to Manila to train. Due to his family’s poverty-stricken situation, he took gardening, cleaning as well as construction jobs on the side to send money to his mother. Jose Marie Viceral aka Vice Ganda is one of the highest-paid celebrities in the country to date. He’s known for his hilarious punchlines and quick-witted humor, but circumstances were not always in his favor. Raised in Tondo, Manila, Vice supported himself through singing gigs and stand-up comedy to help his single mother raise the family. After getting media attention for videos of his comical skits, he started appearing on TV and eventually landed a hosting gig for It’s Showtime, as well as commercial offers and box-office comedy movies. You might be wondering where his “hugot” in telenovelas come from. Before the matinee idol established himself as a respected figure in the showbiz arena, he was living a life fit for primetime drama. Jericho sold fish in the talipapa when he was just 11 years old to help his mother. He also worked as service crew at a pizza chain to send himself to school. His singing skills might be even rooted from his side job of being a barker. In 1996, Echo was discovered on Eat Bulaga’s Mr. Pogi segment. Outside of his acting and modeling career, he owns a barbershop called Talas Manileño and is husband to supermodel Kim Jones. Born Charmaine Clarice Relucio, Charice started joining singing competitions to help her single mom raise her and her brother Carl. “You start from 10 p.m. and you finish at 7a.m., and I had to go to school,” she shared with CNN correspondent Anna Coren. She became of the most favorite talents of international producer David Foster and was cast as Sunshine Corazon in the musical series Glee. She was also once dubbed “the most talented girl in the world” by Oprah Winfrey.